We sat down with Jane Alvey Harris and Nell Teare and swapped notes on how to best bring your book to life. Popular Fantasy series My Myth Trilogy is back with the release of Secret Keeper. 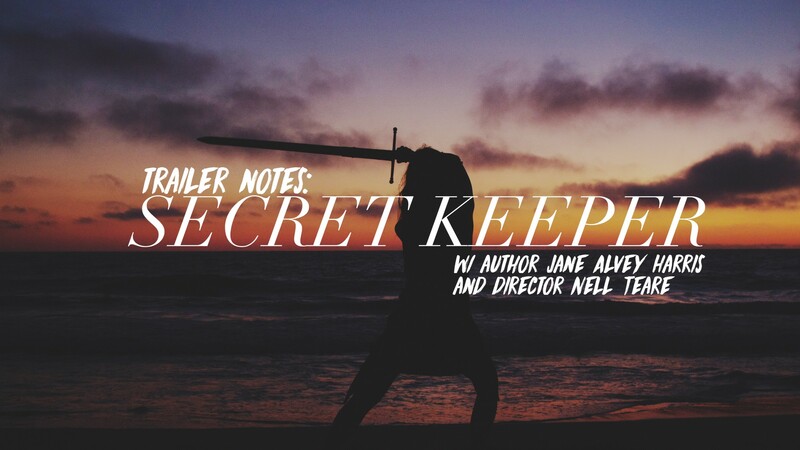 We sat down with author Jane Alvey Harris and trailer director Nell Teare on a sunny Angeleno afternoon to pick their brains about bringing Jane’s second book to our screens. Q: Nell, what is it like to work with an author to bring their vision to life? And Jane — what’s it like to see your work to life? Nell: I love storytellers. It is always a joy when the authors come to set and I can ask them about their ideas and where the story came from and what their process is like. I ask a lot of questions when I can. It helps, because sometimes the cast may not be just right or the space or even the ideas that I have in my mind. Having the author nearby is the greatest gift! Jane: I had so much help from the Universe in writing the first two books of this trilogy that in a weird way the characters don’t feel like they belong to me. Watching the trailers kind of cements that sense because they exist so separate from me. They are solid, they are real, they have Purpose. Q: What is the creative process behind deciding how to best tease a written work? Nell: The challenge is to create a visceral experience that won’t interfere with the experience each of the people reading the book will create in their own minds. I love silhouettes and extreme close-ups in trailers. When we are seeing things in the world every day, we know where we are most of the time so we are kind of on autopilot. When we are taken extremely close to a person or an object, or when we cannot make out completely what something is, we are already curious or invested. Maybe that’s why I love fantasy so much… there is so much to investigate! 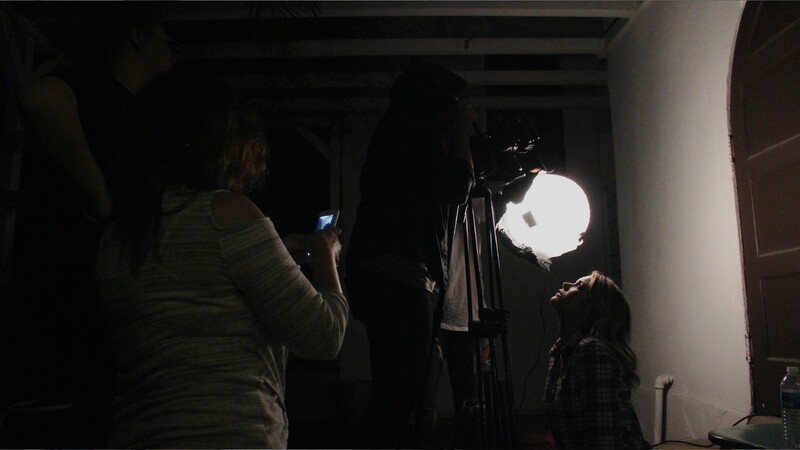 Jane: Seeing the finished product of Kelle on screen as Emily with the lighting and makeup and music while inky black runs down her face was AMAZING. I had this surreal moment the first time I saw it and I was like, ‘Wow, this is POWERFUL,’ and then going, ‘Wait, I wrote that! Q: Any advice for authors looking to take the first few steps to bring their written work to film and video? Jane: I write Young Adult Fiction. My target audience doesn’t read press releases or listen to talk radio, but they DO watch YouTube and Vimeo and surf the web. Having a one minute trailer that highlights the main theme and mood of the book with kickass visuals and music is insanely helpful, especially when it’s well executed. I spoke with several different production companies before hiring Film 14 for Riven’s trailer. Film 14 was the most accessible, professional, and collaborative. I knew they could capture the blend of stark, gritty realism and fantasy I wanted. Do your research, find trailers you like that you can compare to, and then call Film 14 and enjoy the process! There isn’t a more impactful marketing tool for your book. Nell: Authors are ahead of the game, they are already seeing the story in their minds. Write out the shots you want to see and ask people for help! The story is there, trust yourself to know how to tell it visually, since you have already written it down!! If cameras intimidate you, find a fantastic director of photography. Don’t wait to do the things you want to do, do them now. 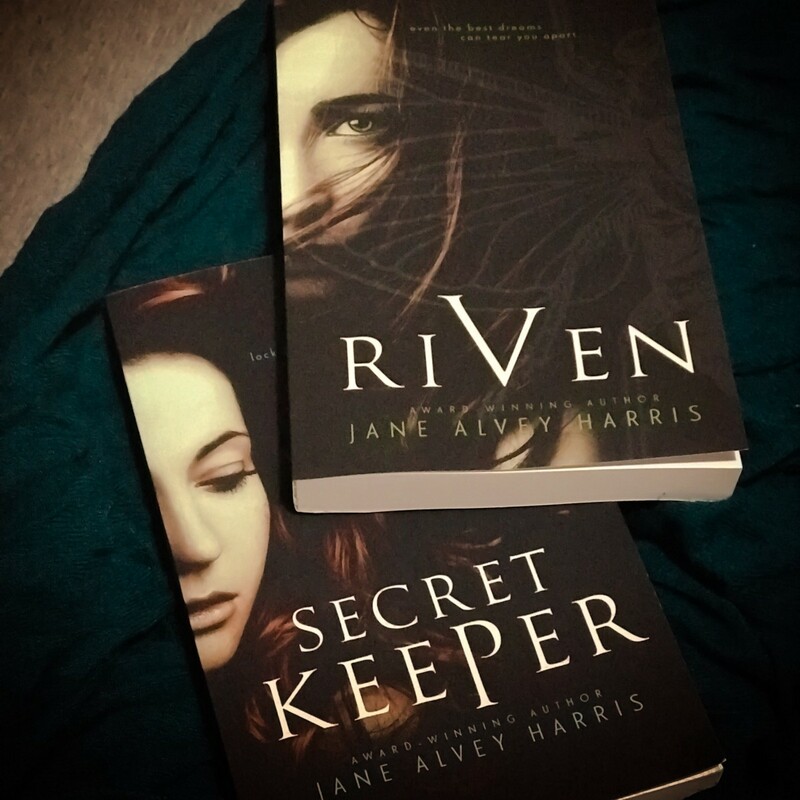 Secret Keeper is now available to buy on Amazon. To find out more about the My Myth Trilogy, visit Jane’s website here. Questions, comments, or just want to chat? Tweet us at @Film14Tweets or hit us up at film-14.com for more insights into our author services, trailer making, and the trailer creator process.